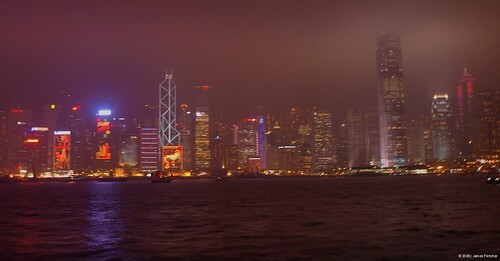 The second time I was able to use my shinny new DSLR was on a business trip to Hong Kong. Great I thought, spectacular cityscapes with which to try out my new found camera skills! It didn’t live up to expectations. First of all it was a business trip which meant I wasn’t going to get any time to myself. Obviously most of the time I was in the office but even when your not at work your working on a trip like this. Secondly my new found camera skills where not all they were cracked up to be! I managed to sneak a small ammount of time while the rest of the party were having pre dinner drinks to get down to the waterfront at the harbour. I had ten mins in one of the most spectacular locations in the entire world and this is all I could come up with!